A metal roof is a durable roofing option with low maintenance. 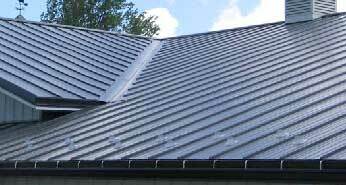 We install metal roofing systems all throughout Fairfield County. 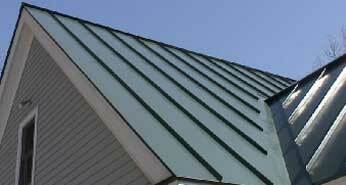 Metal roofing is a great option on both residential and commercial buildings. Metal roofs are highly durable, last a lifetime, and have the versatility of many style options you want for your home - even the look of real wood shingles and cedar shakes. Here at JM Roofing & Siding, we offer a variety of metal roofing options including tile, slate, shingle and cedar shake roofing. All of these roofing systems provide an authentic look without the drawbacks of mold growth, rotting, high maintenance and unreasonable costs. Our metal roofs are designed to provide lasting functionality for your home or commercial building. To learn more about your metal roofing options, call us today at 203-299-0716 to learn more and request a FREE ESTIMATE. Let our experienced roofers help you!